AMETEK Electronic Systems Protection has appointed Kent Dunn as business development manager, effective immediately. 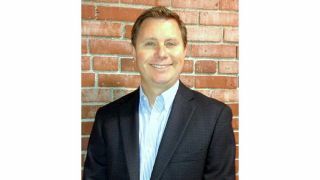 Dunn reports to Dave D’Agostino, director of sales for AMETEK Electronic Systems Protection. Dunn previously had been director of sales for the Western region for Comverge, a leader in demand management solutions for electric utilities. In his new role, Dunn will work on further advancing both the SurgeX and ESP brands in the United States and internationally. He will spearhead the business’ merger and acquisition activity, assist in developing new products, and identify strategic partnerships for both the SurgeX and ESP brands. “We are very excited about bringing Kent on board, and we welcome him to the AMETEK Electronic Systems Protection team,” D’Agostino said. “We already worked with him as a partner at Verdiem, a developer of PC power management software, and experienced his work and vision firsthand. We know he will play a key role in leading AMETEK Electronic Systems Protection in the future.